Abstract: Middle Miocene global and regional factors affecting the development of depositional systems and sedimentary architecture were studied in the northern Vienna Basin. In the Serravallian sedimentary record (Upper Badenian and Sarmatian, Central Paratethys regional stages) two individual 3rd-order cycles of sea-level changes were confirmed. They can be more or less compared with Haq’s Mediterranean cycles TB 2.5 and TB 2.6. The presented sequence stratigraphy approach also proved existence of four 4th-order relative sea-level changes in this time interval here. Furthermore, the late Serravallian (Sarmatian) record documents the strong influence of astronomical forcing on cyclic sedimentation. Detected high frequency cycles are most likely result of climatic (orbital) forcing on the eccentricity band with period of 400 and 100 kyr in a shallow water depositional environment. 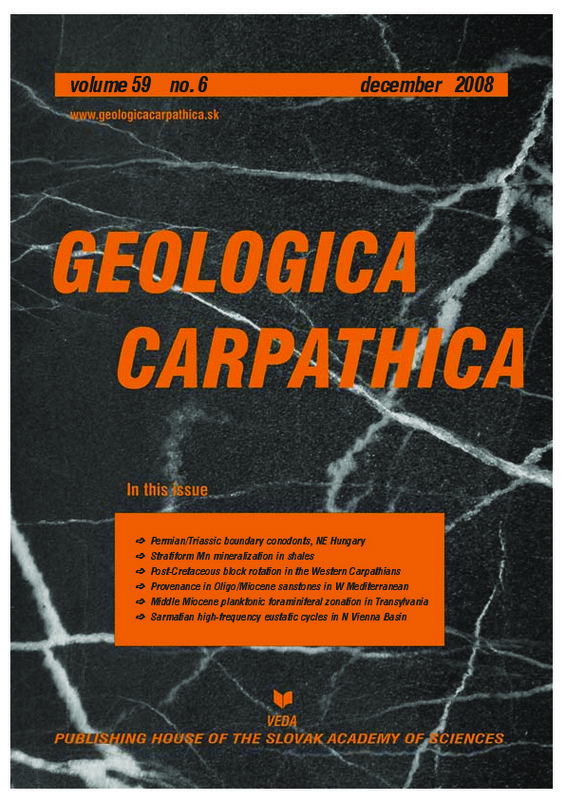 The sequence stratigraphy scheme of the northern Vienna Basin fits well with development in the whole basin, as well as with development in other basins in the Carpathian-Pannonian region (Styrian and Transylvanian Basins). This fact therefore led to the assumption of an interregional character of the high frequency cycles initiated by impulses common for different basins in the Central Paratethys realm.